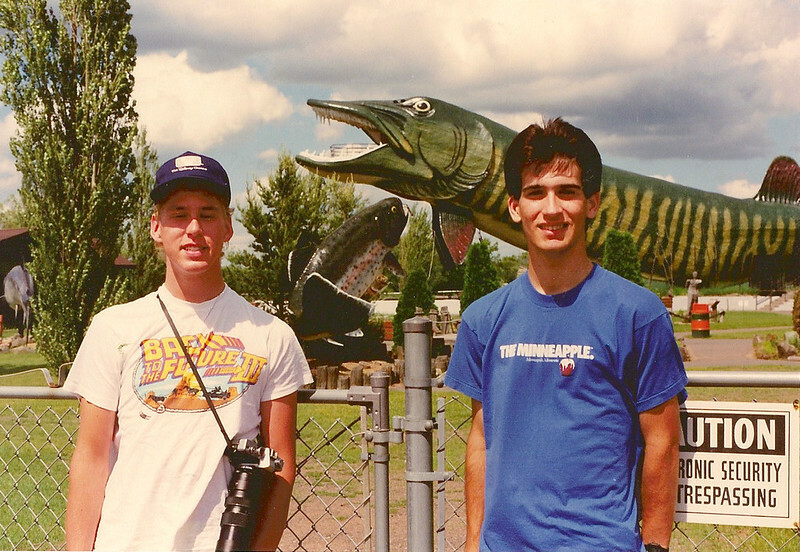 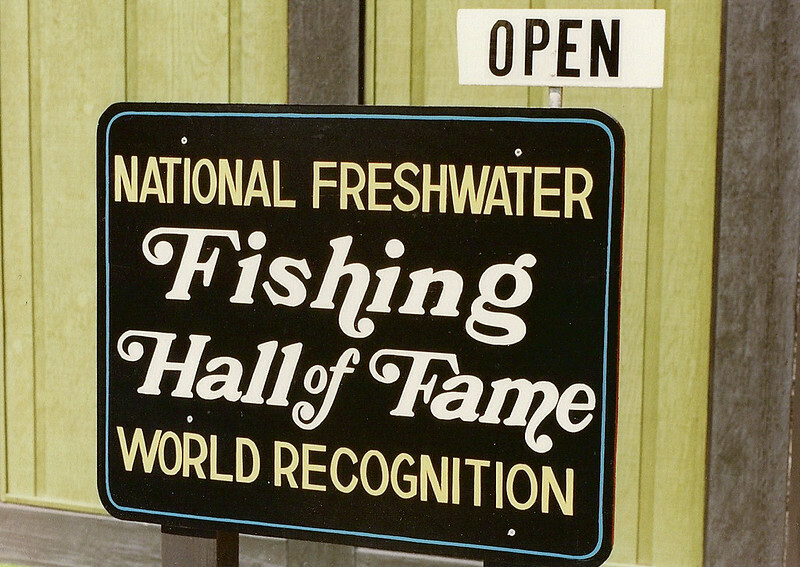 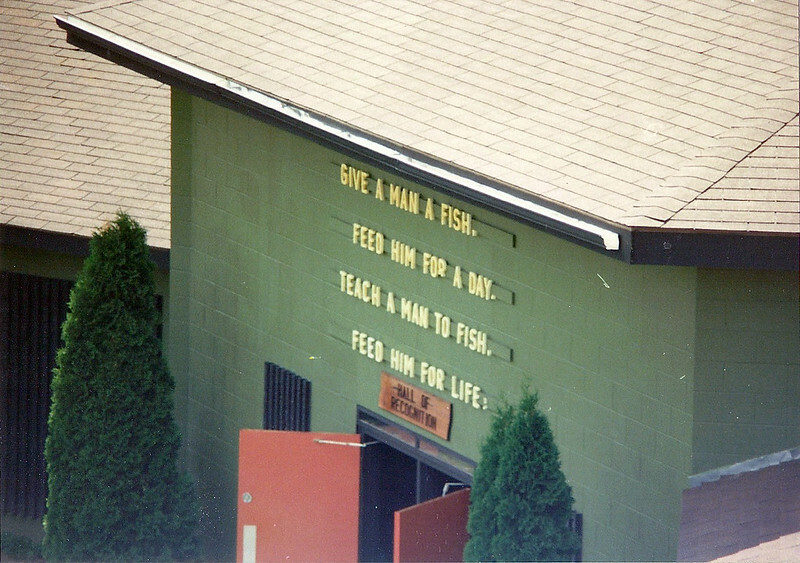 The travelers pose outside the confines of the National Freshwater Fishing Hall of Fame. 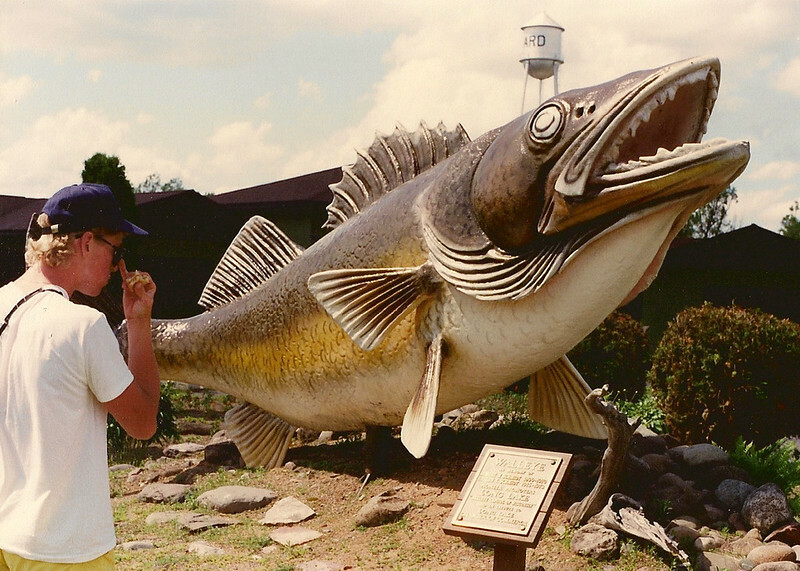 Sean looks at the large-scale walleye. 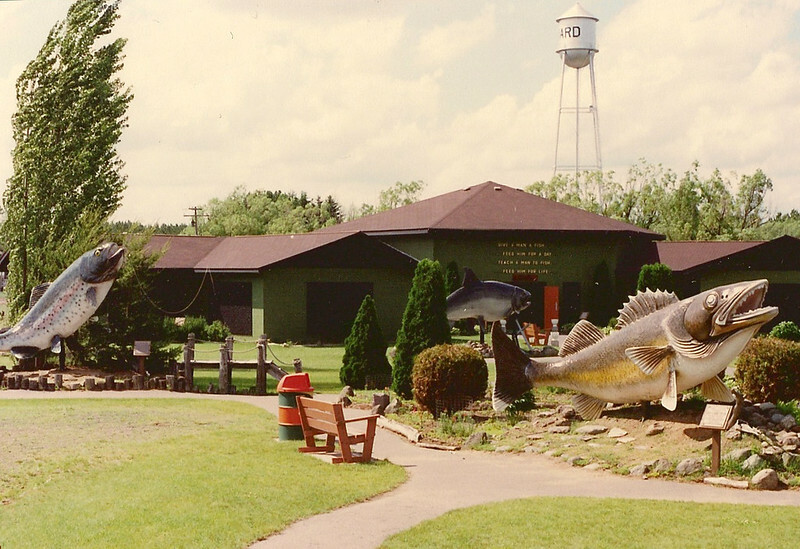 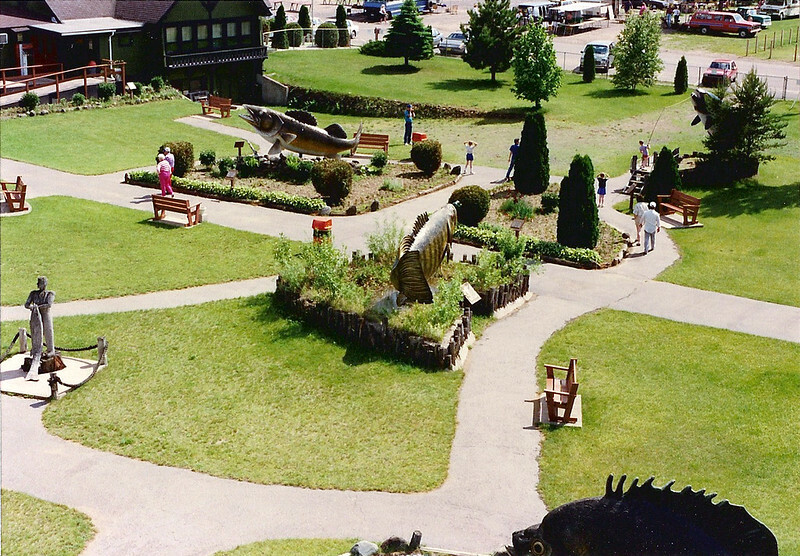 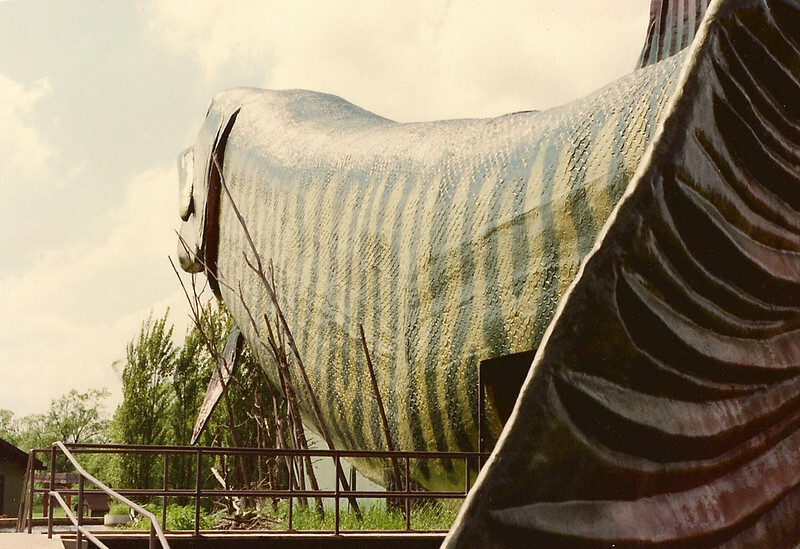 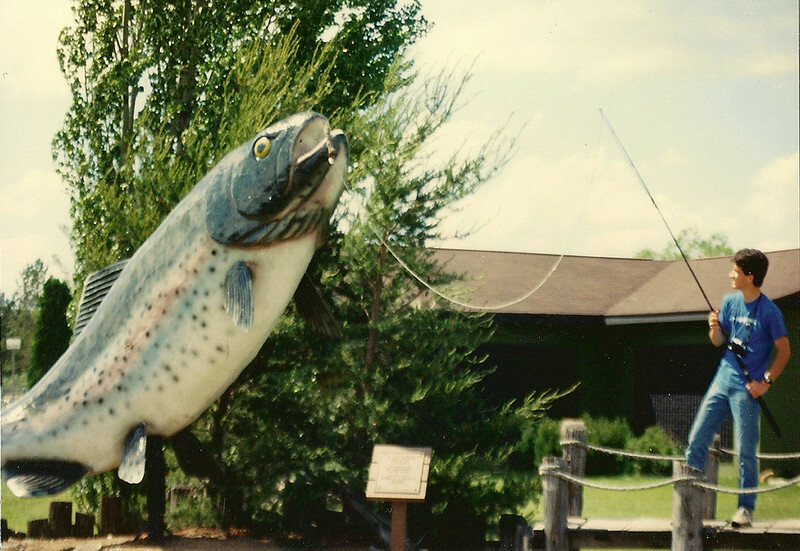 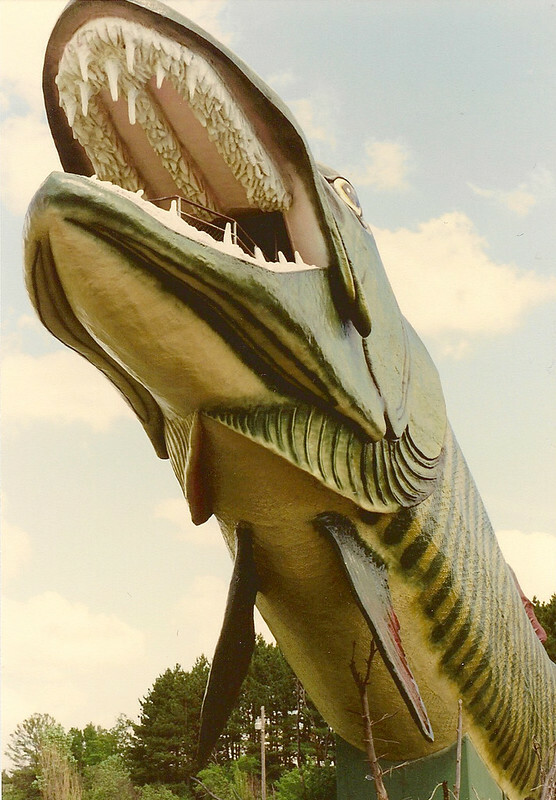 The Hall of Fame is home to the World's Largest Muskie. 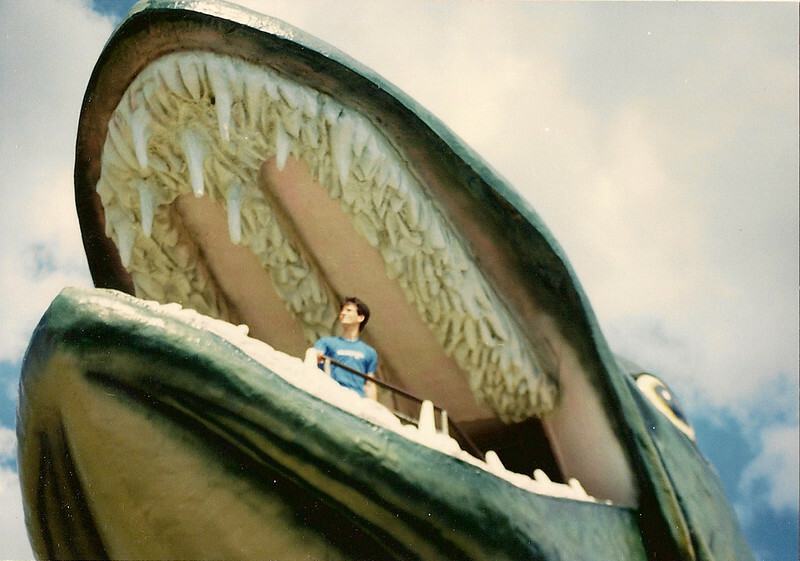 Chris surveys the fishy panorama from the giant muskie's mouth. 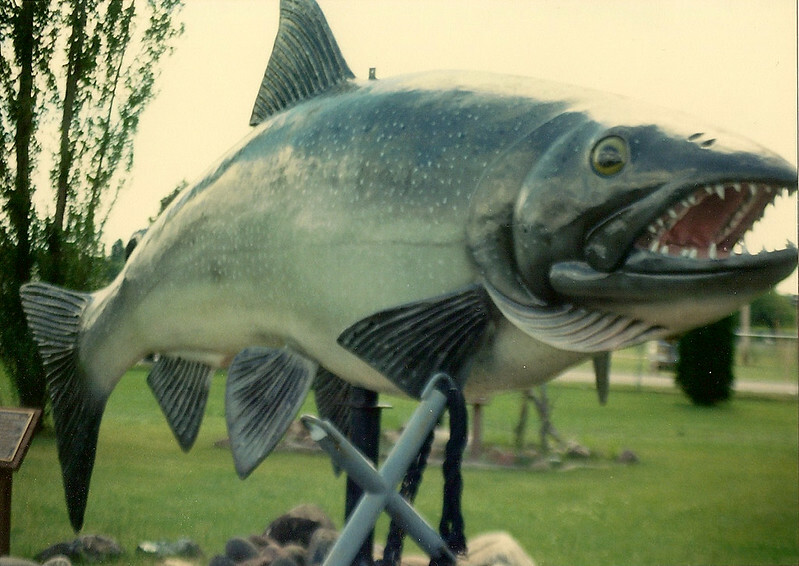 Check out the enormous size of this fiberglass fish! 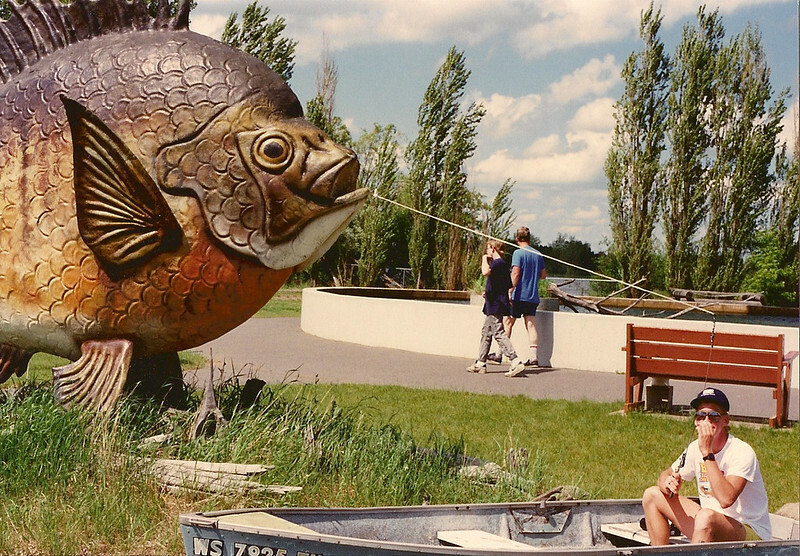 Sean seems oblivious to the giant bluegill on his line.